Authors thank financial support from Ministerio de Fomento (70012/T-05), MEC-FEDER (ENE2005-23824-E/CON and CTQ2006-08958) and Generalitat Valenciana (AC0MP06/089). 1. R.C. Bansal, J. Donnet and F. Stoeckli, Active Carbon (Marcel Dekker, New York, 1988) pp. 1-26. 2. H. Jankowska, A. Swiatkowski and J. Choma, Active Carbon (Ellis Horwood, New York, 1991) pp. 29-38. 3. M.J. Muñoz-Guillena, M.J. Illán-Gómez, J.M. Martín-Martínez, A. Linares-Solano and C. Salinas-Martínez de Lecea, Activated carbons from Spanish coals. 1. Two-stage CO2 activation, Energy Fuels 6(1), 9-15 (1992). 4. H. Marsh, E.A. Heintz and F. Rodríguez-Reinoso. Introduction to Carbon Technologies. (Servicio de Publicaciones de la Universidad de Alicante, Alicante, 1997). 5. D. Lozano-Castelló, M.A. Lillo-Ródenas, D. Cazorla-Amorós and A. Linares-Solano, Preparation of activated carbons from Spanish anthracite I. Activation by KOH. Carbon 39(5), 741-749 (2001). 6. M.A. Lillo-Ródenas, D. Lozano-Castelló, D. Cazorla-Amorós and A. Linares-Solano, Preparation of activated carbons from Spanish anthracite II. Activation by NaOH. Carbon 39(5), 751-759 (2001). 7. J.A. Maciá-Agulló, B.C. Moore, D. Cazorla-Amorós and A. Linares-Solano, Activation of coal tar pitch carbon fibres: physical activation vs chemical activation, Carbon 42(7), 1361-1364 (2004). 8. A. Linares-Solano, D. Lozano-Castelló, M.A. Lillo-Ródenas and D. Cazorla-Amorós, Carbon activation by alkaline hydroxides: preparation and reactions, porosity and performances, In: L.R. Radovic (Ed. ), Chem. Phys. Carbon 30, Dekker, New York (2006). 9. D.F. Quinn and J.A. MacDonald, Natural gas storage. Carbon 30(7), 1097-1103 (1992). 10. D. Lozano-Castelló, D. Cazorla-Amorós, A. Linares-Solano and D.F. Quinn, Activated carbon monoliths for methane storage: Influence of binder, Carbon 40(15), 2817-2825 (2002). 11. F. Rouquerol, J. Rouquerol and K.S.W. Sing, Adsorption by Powders and Porous Solids. Principles, Methodology and Applications (Academic Press, London, 1999). 12. F. Rodriguez-Reinoso and A. Linares-Solano, in: Chemistry and Physics of Carbon, edited by P.A. Thrower (Marcel Dekker, New York, 1988), pp. 1-146. 13. D. Cazorla-Amorós, J. Alcañiz-Monge and A. Linares-Solano, Characterization of activated carbon fibers by CO2 adsorption, Langmuir 12, 2820-2824 (1996). 14. D. Cazorla-Amorós, J. Alcañiz-Monge, M.A. de la Casa-Lillo and A. Linares-Solano, CO2 as an adsorptive to characterize carbon molecular sieves and activated carbons, Langmuir 14, 4589-4596 (1998). 15. D. Lozano-Castelló, D. Cazorla-Amorós and A. Linares-Solano, Usefulness of CO2 adsorption at 273 K for the characterization of porous carbons, Carbon 42(7), 12311236 (2004). 16. F. Derbyshire, M. Jagtoyen, R. Andrews, A. Rao, I. Martin-Gullon and E.A. Grulke in: Chemistry and Physics of Carbon, edited by L.R. Radovic (Marcel Dekker, New York, 2001), pp. 1-66. 17. K.L. Foster, R.G. Fuerman, J. Economy, S.M. Larson and M.J. Rood, Adsorption characteristics of trace volatile organic compounds in gas streams onto activated carbon fibers, Chem. Mater. 4(5), 1068-1073 (1992). 18. M.P. Cal, M.J. Rood and S.M. Larson, Removal of VOCs from humidified gas streams using activated carbon cloth, Gas. Sep. Purif. 10(2), 117-121 (1996). 19. Z.H. Huang, F.Y. Kang, Y.P. Zheng, J.B. Yang and K.M. Liang. Adsorption characteristics of trace volatile organic compounds on activated carbon fibres at room temperature, Adsorp. Sci. Technol. 20(5), 495-500 (2002). 20. M.A. Lillo-Ródenas, J. Carratalá-Abril, D. Cazorla-Amorós and A. Linares-Solano. Usefulness of chemically activated anthracite for the abatement of VOC at low concentrations, Fuel Process. Technol. 77-78, 331-336 (2002). 21. M.A. Lillo-Ródenas, D. Cazorla-Amorós and A. Linares-Solano, Behaviour of activated carbons with different pore size distributions and surface oxygen groups for benzene and toluene adsorption at low concentrations, Carbon 43(8), 1758-1767 (2005). 22. M.A. Lillo-Ródenas, A.J. Fletcher, K.M. Thomas, D. Cazorla-Amorós and A. Linares-Solano, Competitive adsorption of a benzene-toluene mixture on activated carbons at low concentration, Carbon 44(8), 1455-1463 (2006). 23. N.D. Parkyns and D.F. Quinn, in: Porosity in Carbons, edited by J.W. Patrick (Edward Arnold, 1995) pp. 293-325. 24. V.C. 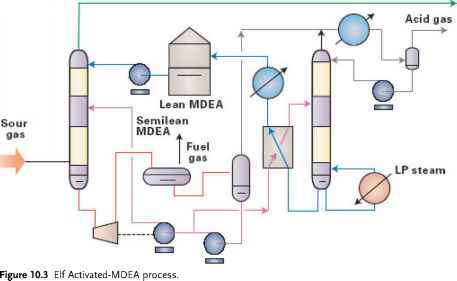 Menon and S. Komarneni, Porous adsorbents for vehicular natural gas storage: a review, J. Porous. Mater. 5(1), 43-58 (1998). 25. T.L. Cook, C. Komodromos, D.F. Quinn and S. Ragan. in: Carbon Materials for Advanced Technologies, edited by T.D. Burchell (Pergamon/Elsevier Science, New York, 1999) pp. 269-302. 26. D. Lozano-Castelló, J. Alcañiz-Monge, M.A. de la Casa-Lillo, D. Cazorla-Amorós and A. Linares-Solano, Advances in the study of methane storage in porous carbonaceous materials, Fuel 81(14), 1777-1803 (2002). 27. J. Burger, H. Holland, M. Ter Brake, G. Venhorst, E. Hondebrin, R.J. Meier, H. Rogalla, R. Coesel, W. Dierssen, R. Grim, D. Lozano-Castelló and A. Sirbi, Vibration-free 5 K sorption cooler for ESA's Darwin mission, European Space Agency (Special Publication) ESA SP (539), 379-384 (2003).